Someone help me identify my new bonsai! 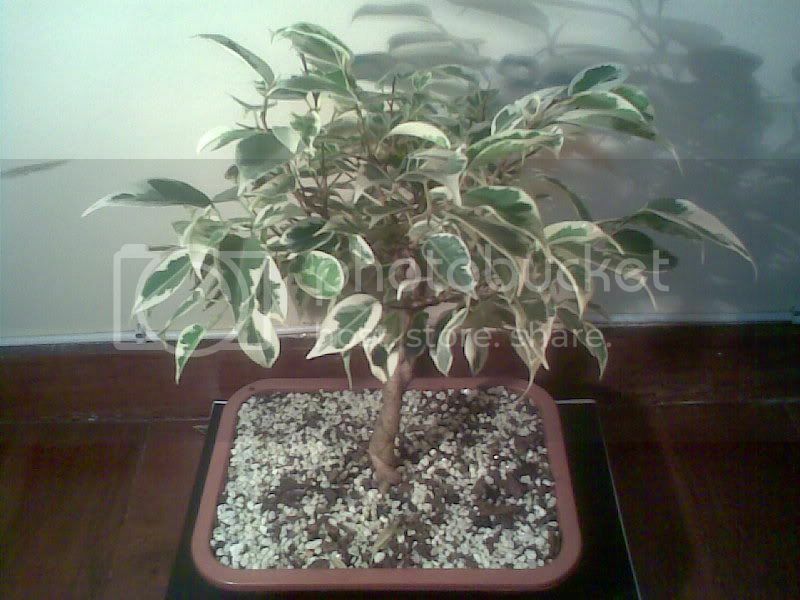 I just won a bonsai from a friend of mine but I donÃ‚Â´t know what species it is! Can someone please help me identify my bonsai?? 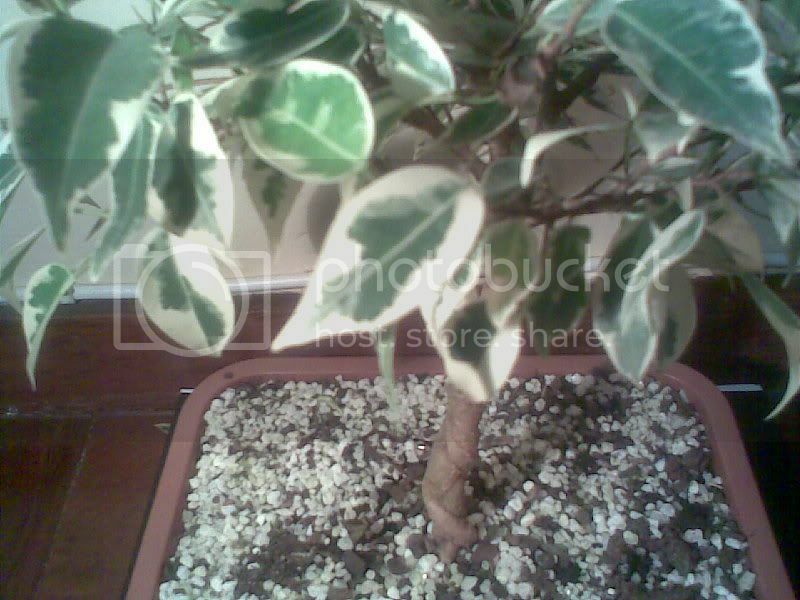 Just a guess... Ficus benjamina "Starlight". 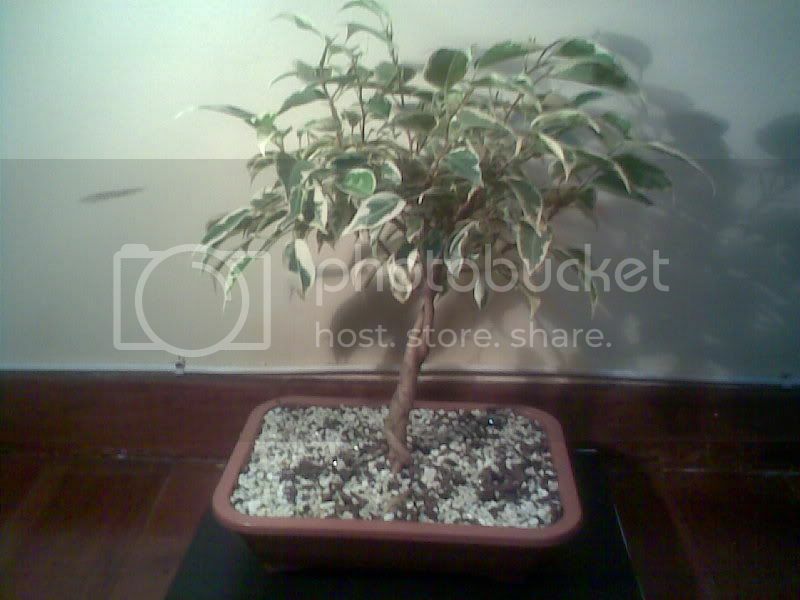 Thanks for your help, I think youÃ‚Â´re right...lots of buddies just like my little bonsai on google with that name!! Native to Malaysia, also known as weeping fig, tropic laurel and Java...gonna call it Java from now on. 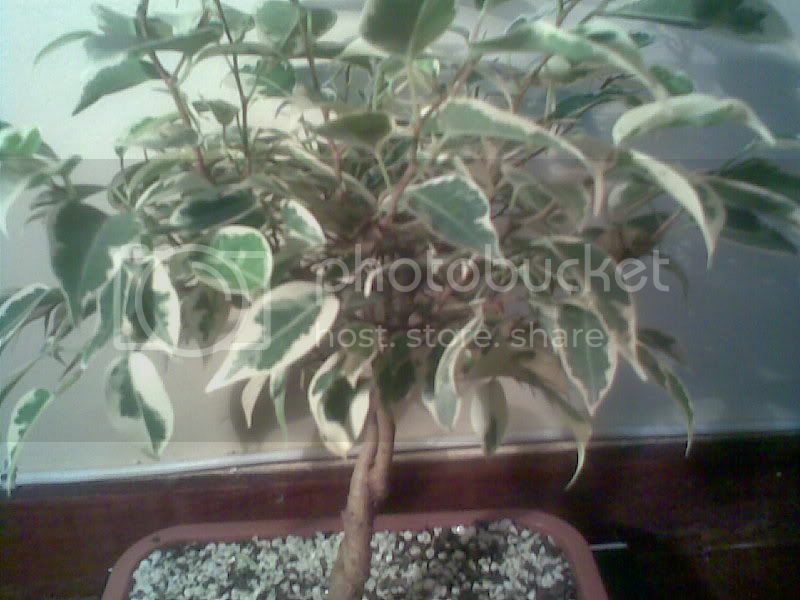 Could someone please identify my bonsai?